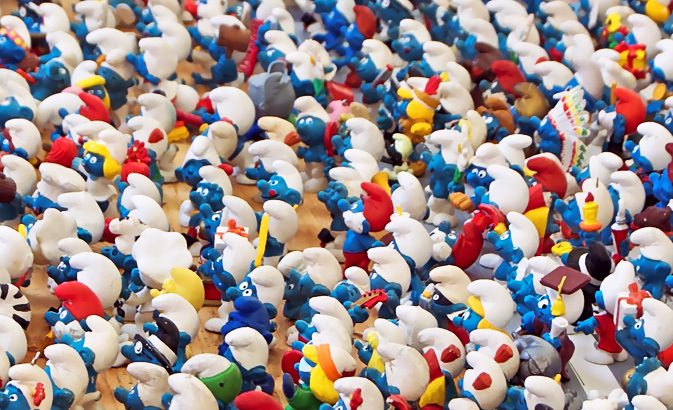 GoldRun just launched an augmented reality app that places a virtual Smurf inside your iPhone photos. The app extends the recent movie experience into reality, affording kids and parents the ability to see themselves standing right next to their favorite Smurf characters. To keep up the suspense, a new Smurf will appear weekly, counting down to the release of The Smurfs movie on Blu-ray and DVD. But it doesn’t matter if you liked the latest Smurf feature film, hated it or never even heard about the damn thing. The Smurfs are timeless and fun characters for anyone with their hearts still lost in the original, highly nostalgic cartoon. The campaign itself dawns a new type of brand experience, one that you should expect to see packaged with tons of other animated features as smartphones become commonplace for younger and younger kids. Read next: The Ultimate Robot Gift Guide: This holiday, the robots are taking over!